Epson is globally synonymous with printers, but the innovative technology also extends to scanners, projectors, and POS. 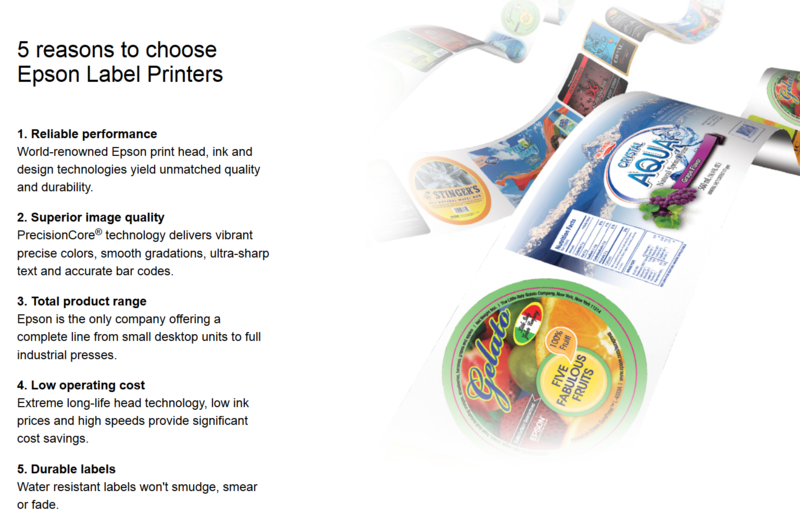 For all of your on-demand, business printing needs—inkjet to professional—Epson has a solution. The various WorkForce Series printers deliver the reliability and quality you need to operate efficiently in a just-in-time environment. Epson focuses on both exceptional printers and eco-friendly design to feed your multiple bottom line, and they’ve invested over $100 million in R&D for their ColorWorks Labeling Division. Whatever your industry, Epson understands your challenges, and has created the technology to put the quality control in your hands. If you expect to be a total print solutions provider, you need to maintain strong partnerships with the technology leaders. Ideal Print Solutions and Epson have that connection, and we invest our time and resources in understanding the ways that Epson can benefit our customers. Our ongoing education and exploration of Epson’s equally continual innovativeness creates a partnership that delivers the most important win—yours.